Triathlon For Beginners: Hints and Tips | JustRunLah! I consider myself an amateur triathlete. I have taken part in a few Sprint triathlons (750m swim, 20km bike, 5km run) but have never done the Olympic distance (1500m swim, 40km bike, 10km run) before. 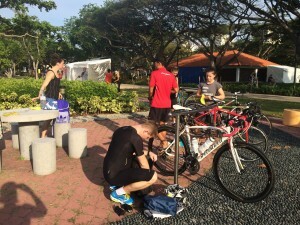 This year, I decided to sign up for my first standard triathlon to challenge myself further. So, to up my game, I dragged myself out of bed today on a Saturday morning to attend the Triathlon Training Clinic conducted by MetaSport. 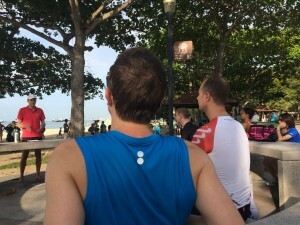 We met at 7.45am at East Coast Park where coaches – Matthe and Nic shared tips on race practice with transition set up, swim, bike and run skills development, pacing and racing tips and tricks. After about 40 minutes of theory, we moved to the exciting part which was the hands-on practice. We practiced transitions from swim to bike, and bike to run. The session ended with a mini-triathlon session where we went through all three disciplines. What was most useful for me at this clinic were the tips shared to shave off transition times after the swim and cycle leg. I have always been slow during transitions. Some of us use transition times to catch our breath, others grab a drink and snack, but transition times are included in our overall race times and are critical if we want to perform better in a triathlon. • Train sufficiently prior to race date. 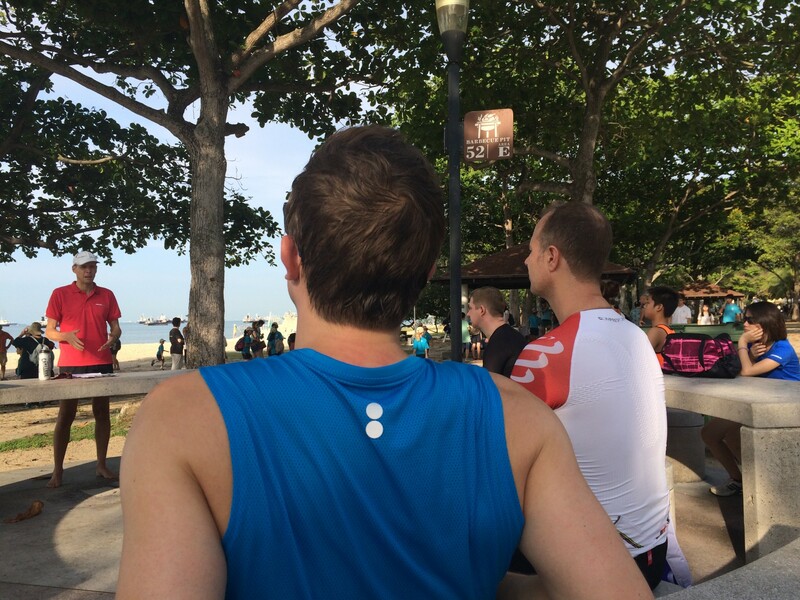 A week before the race date is time to tone down the intensity level but we should still continue with exercise. • For those who have not swum in open water before, it would be good to try it out at least once. • Always prepare your race attire and equipment in advance. Start your own triathlon checklist and modify it along the way depending on weather, race regulations and terrain. Compulsory items include a Triathlon suit (or what you would race in), goggles (anti-fog and mirrored preferred especially in sunny weather), towel (to dry off and wipe of sand), bottle of water to rinse off sand/dirt and another to hydrate yourself, race belt, cycling/tri/running shoes, bike, helmet, sun block, sunglasses and a snack/power gel for that extra boost. 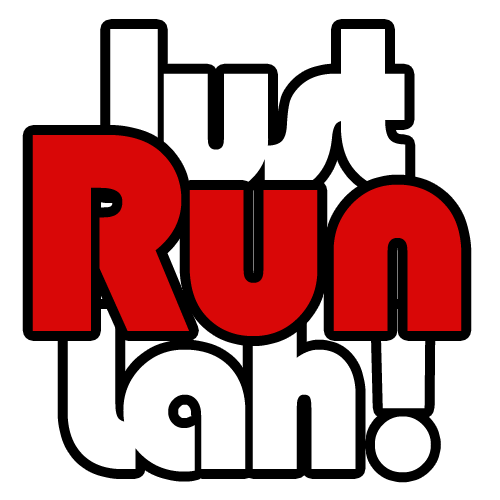 • Remember not to wear anything new (race attire, shoes etc) just before or during a race to prevent unnecessary chaffing. • Ensure you are packed the night before and always pump your bike tyres before you leave home. • You should start hydrating two days before a race and avoid alcohol and coffee the day before a race as it can be dehydrating. • Do eat breakfast at least 2 hours before the race. Carbs are important but avoid greasy food. Find out what sits well with your tummy and try not to have anything new to prevent frequent runs to the loo! • Electrolytes are necessary for longer races so do keep some gel bars and sports drinks handy to replenish minerals lost. • Contrary to what some say, there is actually no need to carbo load if you are just doing the Sprint distance or less. • Arrive at least one hour before the race start so that you have sufficient time to do your body marking, warm-ups (20mins before race starts) and visiting the toilet. • Stop drinking 15 minutes before the race starts and ensure you visit the toilet! • Pay attention and remember where your transition spot is relative to the entrance/exits of the transition area. • Neatly display your items and keep to your small area. • Place items like towels within easy reach, open up your sunglasses so you can easily place them on, roll open and leave your socks on top of your shoes rather than stuff them inside your shoes for a quicker transition. • Mentally go through each transition phase before the race and tell yourself what you need to do so that nothing takes you by surprise later. You are most welcome. All the best, Karan. hello, how much is a bike for triathlon? what do you suggest for a beginner? Thank you!